When it comes to toys for Blake we love for him to have ones that aren't just fun but educational too. Toys that also get children exploring nature through play are also ones that we feel are important too. My Fairy Garden range is ideal with helping children to create, imagine and grow there own fairy garden. The kits offer children a delightful experience of imaginative open-ended play whilst discovering the magic of growing real plants. 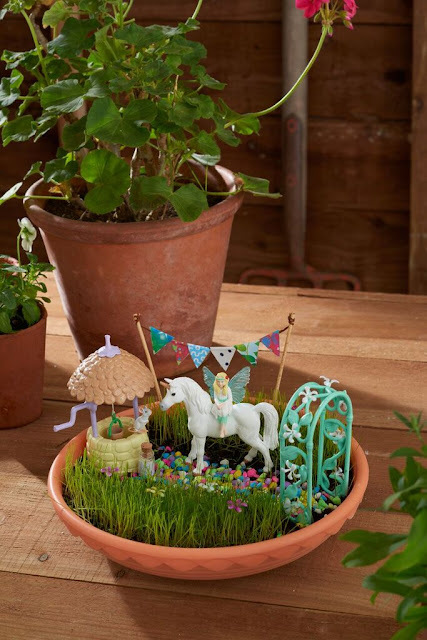 There are cute little flowerpot fairy homes, fairy doors to place in your house to allow fairies to enter and Fairy Tale stories to encourage children’s imaginations! Make your child’s bedroom an enchanted place with these magical toys! 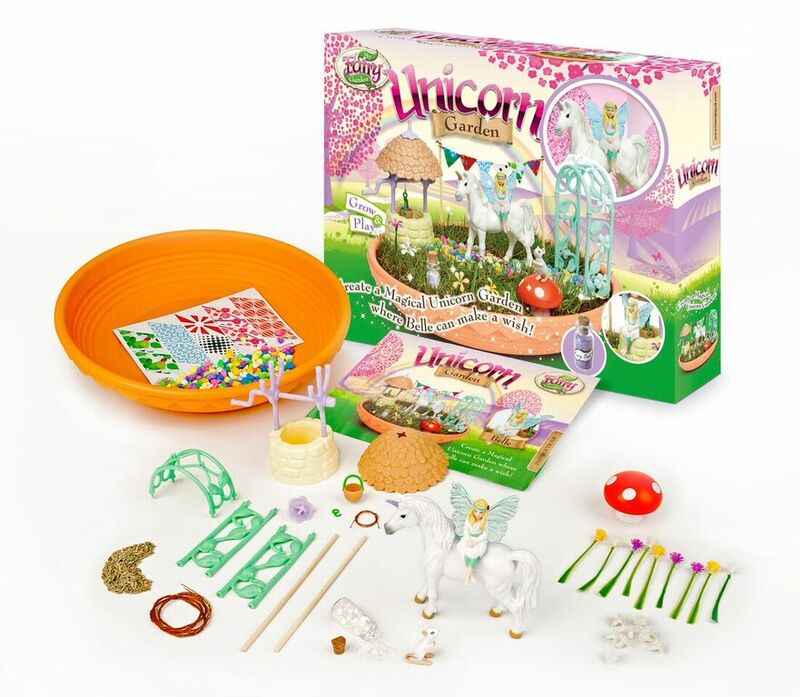 My Fairy Unicorn Garden: Create a magical Unicorn Garden where Fairy Belle can make a wish. This 'Grow & Play' playset includes Belle the fairy and her unicorn and mouse friends, along with a sparkly fairy house, wishing well with working acorn bucket, bunting, fairy dust and lots more. Sow the seeds provided and watch this enchanting garden grow together! For a chance to win all you have to do is complete the rafflecopter below. This looks good fun and I would love to win one for my niece.Thank you. I would love to make one of these with my granddaughter! This looks fab. My daughter would love it. Great competition. My daughter would go nuts for this! A fabulous gift for a child to receive which would help with dexterity, creativity and imagination. My little niece would love this! I don't know who would love this more my little girl or ME! My little boy would love this. I have a little cousin who would adore this! This looks adorable, something my daughter would love as she really enjoys gardening when visiting her grandmother. My little granddaughter would be over the moon if I won this for her! My niece would love this - she's obsessed with unicorns! My niece would love the set. Looks like a lot of fun, both my little boy and girl love things like this! Very creative the two of them! My daughter would love this, as would her older brother. I know that I would love this!! I've got a bit of a thing for unicorns! Looks fun for my teen. My daughter absolutely loves this, she would love to win! my daughter would really enjoy playing with this - she would have her own little garden! I remember making these at school , always loved them , My daughter would love this too . What a lovely idea, my niece will like adding it to her current fairy garden. My niece has been talking about these, so this would be fab to win. My daughter would love this - she loves unicorns and gardening. My child would really enjoy creating this- as would I!